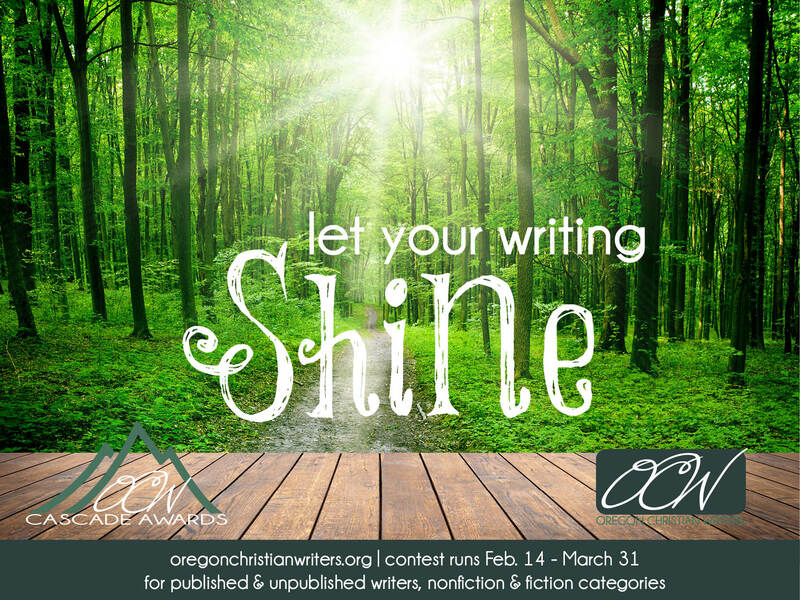 The 2016 OCW Cascade Writing Contest will open at 12:01 a.m. (PST) February 14, and the deadline will be 11:59 p.m. (PDT) March 31. Judges include top professionals in the field of Christian writing and publication. Awards will be presented during the annual OCW Summer Conference at the Red Lion on the River Hotel in Portland at 7:00 p.m., Wednesday, August 17. You do not need to be an OCW member to enter. Contestants need not be present at the summer conference to win. The Cascade Writing Contest is for both published and unpublished writers and features a number of categories and genres. The purpose of the contest is to reward excellent writing and to encourage both seasoned and emerging writers as well as provide a notable achievement for a writer’s bio. Each category below will have a winner, and all the finalists will be featured in our summer conference notebook as Cascade Writing Contest finalists. Winners will be listed on the OCW website after the awards. Our finals judges have been carefully selected from within the Christian writing industry. Preliminary judges include bookstore owners, writers, editors, teachers, librarians, pastors, and others interested in the written word. Sally Apokedak (Les Stobbe Literary), Kim Bangs (Bethany/Chosen), Robyn Burwell (Harper Collins), Alice Crider (David C. Cook), Lonnie Hull DuPont (Revell, a division of Baker Books), Joanna Echols (Focus on the Family), Nick Harrison (WordServe Literary), Bill Jensen (William K Jensen Literary), Terri Kalfas (Grace Publishing), Susan King (The Upper Room), Sherri Langton (Bible Advocate), Chad McComas (The Christian Journal), Paul Smith (LIVE), Tamela Hancock Murray (The Steve Laube Agency), and Ben Wolf (Splickety Magazine). February 14: Contest entry forms will be posted on the OCW website and submissions may begin. Contest is OPEN! March 31: Electronic submissions due or published book entries must be postmarked by this date. August 17: Cascade Awards Ceremony, 7:00 p.m., during the OCW summer conference, at the Red Lion on the River Hotel in Portland. Cascade Special Awards: We will also be presenting two honorary awards to OCW members at the Cascade Awards, the Trailblazer Award for a writer who has distinguished him/herself in the field of Christian writing, and the Writer of Promise Award for a new author who has shown unusual promise in the field of Christian writing. “Truly I tell you, if you have faith as small as a mustard seed, you can say to this mountain, ‘Move from here to there,’ and it will move. Nothing will be impossible for you” (Matthew 17:20 niv).